Nintendo has updated its Pokémon series of role-playing video games for the 3DS handheld system, releasing two new games this month. 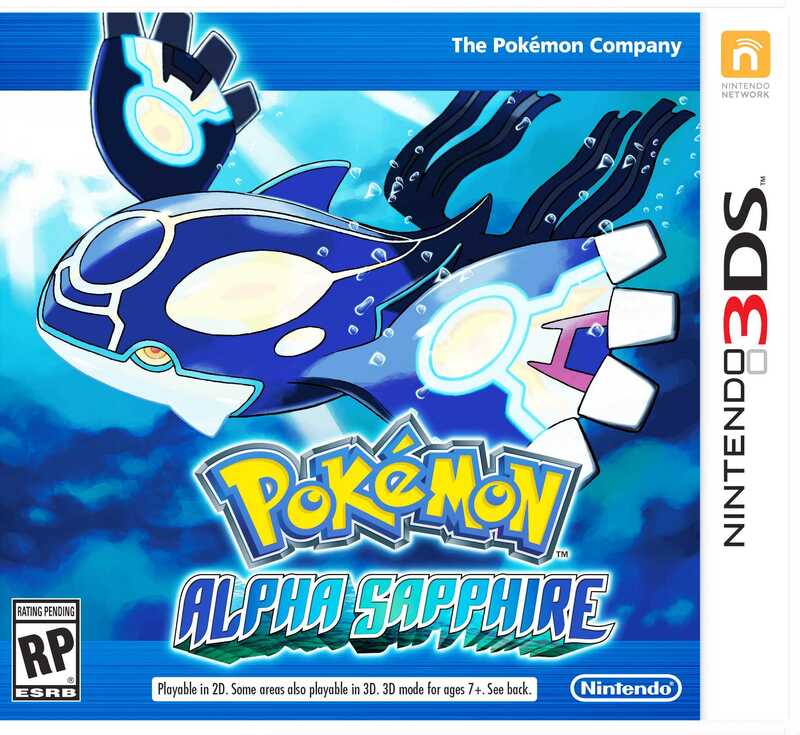 “Omega Ruby” and “Alpha Sapphire” are updated versions of games released in 2002 for the Game Boy Advance device and are the latest in a series of Generation VI games. The games have a retail price of about $40 and are rated E.
Three student news websites published stories about the new games: Portage Northern High School in Michigan, Southwest Career and Technical Academy in Las Vegas and Emerald Ridge High School in Puyallup, Wash.
With its trademark battles and nostalgic air of childhood, “Pokémon Alpha Sapphire” makes a comeback on the Nintendo 3DS, recreating the reminiscent world of exploring and challenging rival Pokémon trainers. Like most of its predecessors, the game does not disappoint and provides gamers with the ultimate balance between brawling and discovering. Just like any other Pokémon game, the focus is geared on exploring the region, discovering and catching new Pokémon, challenging other players, earning gym badges and eventually battling the Elite Four and the champion, Steve Stone. This would also not be a Pokémon game if there was not a villainous team of Pokémon trainers, this time known as Team Aqua. Their wish is to use a legendary Pokémon to sabotage the region of Hoenn and by doing so, hinder your progression as you must work to stop them. Though I did not experience the original “Pokémon Sapphire” until 2007, I still immersed myself in exploring the untouched world of the Hoenn region. It felt nostalgic to experience that again, but with the major improvement made in the graphics, I almost could not recognize the very universe that shaped my childhood. By switching the pixelated world for a much more detailed environment, I started to relive my childhood in a new light. I, for example, thought that Mauville City only offered the bike shop and Game Corner. However, with its revamp, it now resembles Lumiose City from “Pokémon X/Y,” and is filled with a numerous amount of small shops and NPCs (non-playable characters) to interact with. Again, similar to “Pokémon X/Y,” the introduction of the tools from Pokémon Amie, PokéNav Plus, and Wonder Trade (just to name a few), are welcomed additions to the refurbished game. The new Pokémon search application, DexNav, will easily become a favorite of Pokémon fans. This feature allows the player to be alerted of a wild Pokémon’s level, ability and any rare moves it might have. This provided an alternative to Super Training and traditional methods for a stat-based trainer like myself; I no longer had to waste my time fighting weaker Pokémon to level up for a gym battle further down the line. The updated berry map made it easier to earn Pokéblocks, a candy that can be used in contests to provide Pokémon an advantage in order to help them win. The contests themselves have also been given a new look, taking after its origin with a Japanese pop-idol feel. As a frequent contest competitor since “Pokémon Diamond,” I could not wait to do what I love again. I believed it would be tough to revive a classic, but in “Pokémon Alpha Sapphire,” Nintendo has exceeded my expectations and delivered a game that I imagine myself playing until the next installment. The great attention to detail made the region come to life and for those who thought that they knew the original “Pokémon Sapphire” will have a blast experiencing the revamped Hoenn area. The numerous additions and surprises will pull the player into engaging themselves far beyond the main story, adopting a lifestyle that revolves around Pokémon. By Eric Staats, Portage Northern HS, Portage, Mich. Many of us played Pokemon Ruby, Sapphire, and Emerald in elementary school — don’t even deny it. Pokémon was the greatest video game ever in a time where we were too old to play Animal Crossing and Nintendogs, but too young for Call of Duty and Halo. Nintendo has released remakes of these classic games for the 3DS with new features that revolutionize the series and a storyline that will make you remember when you thought mashing the A button when you threw a Poke ball actually did something. Last year, X and Y brought major changes to the Pokémon franchise, and Omega Ruby and Alpha Sapphire (ORAS) retain these updates. The 3DS’ 3-D function is present throughout the game, however the number of in-depth 3-D clips has almost doubled, giving greater depth to the vision and story of the game. Mega evolution too, makes a powerful comeback. Popular Pokémon receive this new feature, including Salamence, Metagross, and Rayquaza, as well as some less-popular fighters, including Beedrill, who now out speeds every Pokémon but two and can kill nearly every Pokémon in the game in two hits. This game’s story has far greater depth than the originals; both the villains and the gym leaders now seem more like real people rather than just pixels with a singular personality trait on a screen. The games also contain an extra post-game chapter, titled “Delta Episode,” whose plot centers around Rayquaza, and involves a trip into space to battle another popular legendary Pokémon native to the Hoenn region. Remember how you used to think that you could get to space from the space center in Mossdeep, but really your friend’s older brother was just lying to you because you were eight and were willing to believe anything? Well, the dream has come true. ORAS also introduces a new feature, soaring, which involves calling upon Latios or Latias, and then flying around a 3-D model of the entire Hoenn region. This is ridiculously awesome, providing an entirely new landscape for the Pokémon games, and allowing the player to actually participate in flying around the region, as well as providing some otherwise not-obtainable regions in the game, introducing a diverse set of roughly forty new islands in the game. The games also make Pokémon’s motif “Gotta catch them all” more of a realistic goal. Between these two games, and X and Y, every Pokémon is obtainable, including legendries. ORAS holds upwards of twenty legendary Pokémon for the player to catch throughout the game, far more than what’s offered in any other game. Contests and secret bases, originally only exclusive to Ruby and Sapphire, make a return. Contests are more pointless than the three weeks we weren’t allowed to have popcorn, but the secret base function within the game allows for players to create their own gyms, a feature that has been desired for decades. 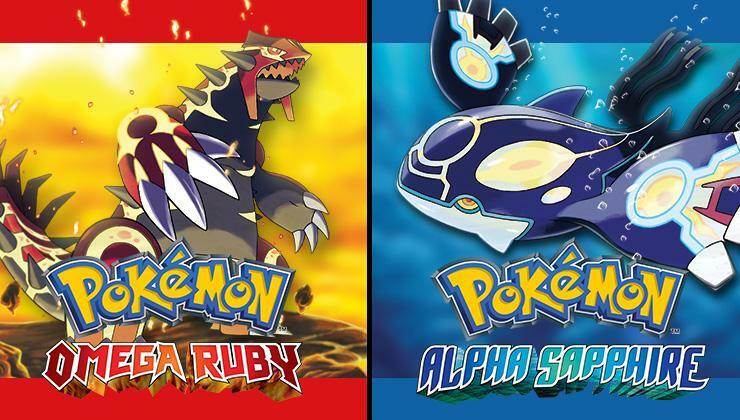 Pokémon Omega Ruby and Alpha Sapphire provide a major throwback to the Pokémon games of our childhood. The games are rich with an overwhelming sense of déjà vu as the gaming experiences of our youth are transformed to fit the major gameplay improvements and strides the Pokémon franchise has made in the past decade. Don’t think you’ve become too cool for Pokémon, this game is great and you need it. 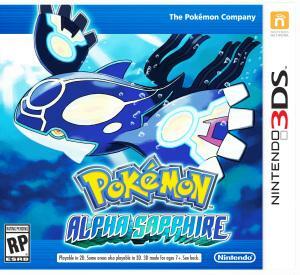 Pokémon Omega Ruby and Alpha Sapphire for Nintendo's 3DS system were released Nov. 21. By Lucas Cook, Emerald Ridge HS, Puyallup, Wash.
Pokémon Omega Ruby and Alpha Sapphire for the Nintendo 3DS were released in Japan and North America Nov. 21, the 13th anniversary of the original Japanese release. 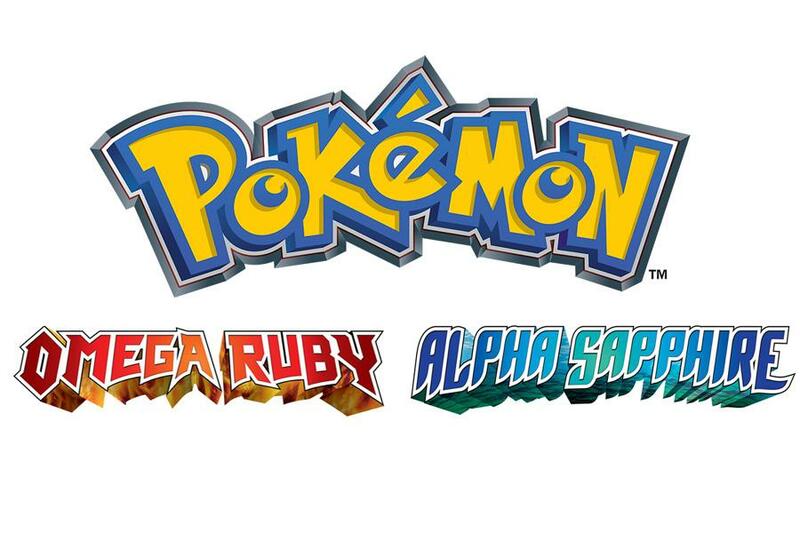 Omega Ruby and Alpha Sapphire are remakes of Pokemon Ruby and Sapphire, the games that first introduced the third generation of Pokémon. Although the popularity of Pokémon was declining at the time the original games were released, they still managed to sell about 16 million copies over 13 years, and still remain one of the most popular games for its console, the Nintendo Game Boy Advance. The remakes, which were announced in May had already achieved 1 million preorders by the time November started. The original games started out as any other Pokemon game, a child receives their starter Pokémon from the professor and sets off to battle eight gyms across the region on a goal to become the best trainer in the region. It includes a heavy storyline and small mini games and side quests, such as contests and trying to catch every Pokemon. There have been high standards for the game to be as original as possible because so much has changed in the Pokémon franchise over the past 13 years, including over 250 new kinds of Pokémon, a new kind of evolution called Mega Evolution and of course, the 3D world compared to the game’s original 16-bit world. The remakes include higher quality music, but still include the trumpets, which are unique to the third generation of Pokémon. Snippets from the old game and many of the minor characters’ names and dialogue have stayed the same. The game does not feature the Pokémon from newer generations until the player has beat the game, although there are references to the newer games. The remakes have been designed to retell the original story, excluding the parts they had to scrap from the originals due to their limited memory. 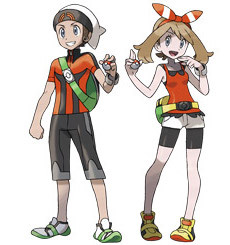 Omega Ruby and Alpha Sapphire have introduced new characters to develop new concepts and expand old ones. The player can participate in contests, a side quest that is equivalent to a Pokémon dog show. To help convince the player to take part in these mini games, the series has introduced a new character, Lisia, a celebrity that scouts out trainers to persuade them to take part in contests with her. Because of the original limited memory for a 16-bit game, many of the characters shared the same sprites, and many songs were compressed. Now that the 3DS offers more memory, there is a bigger diversity and detail of sprites for buildings, people and background art and a more orchestrated soundtrack compared to its older counterparts. Another new feature Omega Ruby and Sapphire offer is a feature that was introduced in the last Pokémon games that came out last year, X and Y. It’s the player search system, and it offers an easier connection with others to trade, battle,and help level up the Pokemon’s battle stats and friendship. The company has also added more features to help find rarer, stronger and better Pokémon and a more detailed map as well as the ability to rebattle non-playing characters. Although the new features are extremely useful, they are all located on the bottom screen, making it a bit crowded and hard to navigate. Pokémon Ruby and Sapphire helped introduce younger generations that were too young to play the games that came out in the late ’90s to the Pokémon series. The remakes of the game have a strong feeling of nostalgia and adventure that the originals provided quite well, while improving character development, and relationships between characters. Pokémon fans have waited longer for Ruby and Sapphire remakes to be announced longer than any Pokémon game so far, and it will not disappoint.